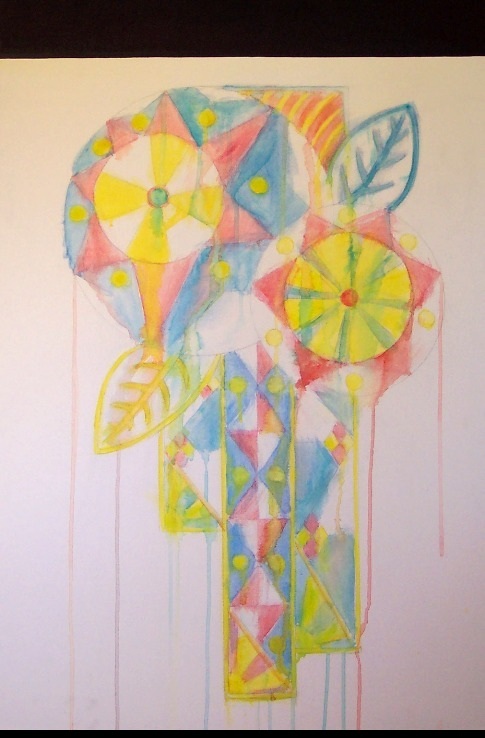 First painting of the year, first watercolor in 3 years, and so far, this work remains untitled. It was inspired by an Art Deco brass stamping and circus tents in the rain. It still wants a black frame and will not truly be complete until it has one. I find parting with paintings difficult. It’s not so much that I am overly-proud or overly attached or overly-disappointed in them, but rather that there seems to be so few people interested in the sort of work I do. I have had little luck selling it, so I tend to keep it for a long while until I find someone who cares enough and likes a certain piece art well enough that I can give something to them. In some exemplary cases, the person is appreciative, kind, and encouraging enough to merit a special painting uniquely tailored to them. Dr. Larry Bonds is a member of this intimate club of patrons. A Renaissance scholar, teacher, and naturally curious person, Dr. Bonds merited a special commission, not only for the academic aid and all-around generosity he has provided in the classroom, but for the personal support and encouragement he has provided to me, often when I needed it most. 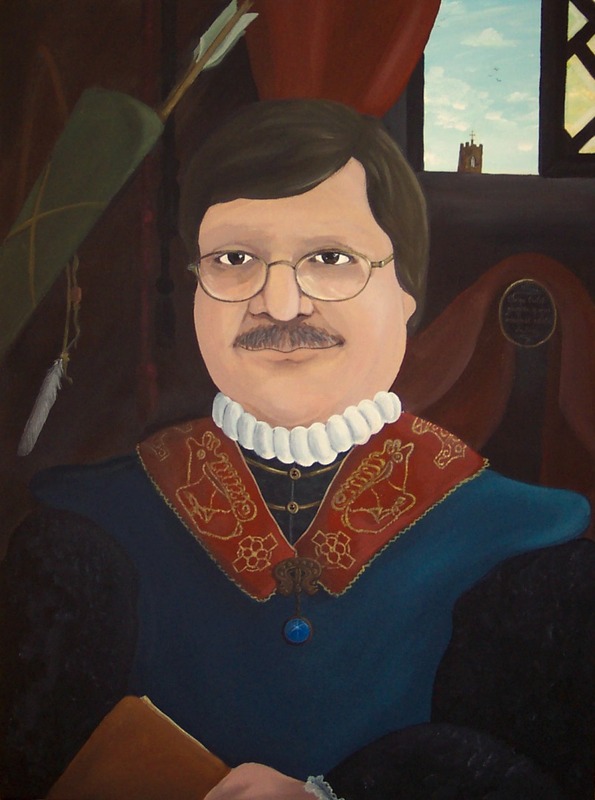 Seeing that he’s a British Literature scholar and appreciative of all things Medieval, Renaissance, or otherwise ancient, it is only fitting that his painting be in the style he is most accomplished in, with all of the period-appropriate trappings and honors generally given to persons of quality. One of the best things about Renaissance things is the plethora and abundance of symbols that artists of the day loved to pack into their work: literary, visual, or otherwise. Since the primary job/hobby of Renaissance scholars is the unraveling of such little mysteries, this painting has over 15 symbols, awards, or allusions. Actually, to be truthful, the number of such little mysteries is closer to 42, but you have to delve a bit into history, both personal and universal, to find them all. Happy hunting!